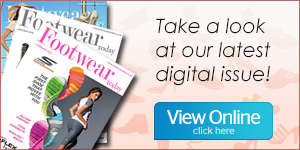 Northamptonshire has long been regarded as the heart of the industry – the ‘Savile Row’ of shoes – and to help celebrate the BFA’s special birthday, 11 of the county’s most renowned manufacturers displayed examples of their exquisite work at a unique show case. The ‘shoe-case’ was open to press and BFA members and was held at Northampton’s beautiful and recently restored Delapre Abbey, The 900-year-old abbey provided the perfect backdrop for the historical display, steeped in shoe heritage. Apart from recognising shoe manufacturing history the shoe-case also celebrated and looked forward to the industry’s future. 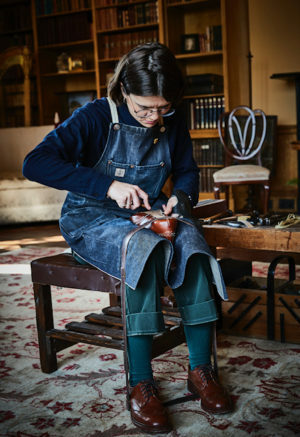 BFA’s Jayne West said: “The Northamptonshire welted footwear industry produces around 1.3m pairs with a turnover of £146m, exporting 52% of that figure, some firms export a considerably higher percentage. Local children also helped mark the BFA’s birthday with a ‘Design a Shoe’ competition run in conjunction with Delapre Abbey. The winner, eight-year-old Demetria Jolley was treated to a special surprise when Church shoes revealed they would bring her shoe design to life! 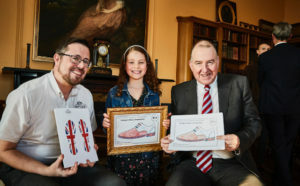 Demetria, who attends Abington Vale Primary School, took her inspiration from the Union Jack flag and the special BFA birthday – her ideas certainly wowed judges form world-renowned Church’s shoes. The Northampton based footwear manufacturer were so impressed that they decided to make her design into an actual pair of shoes. This unique ‘shoe-case’ event launched the BFA’s 120th Birthday celebrations and united members from across the country to celebrate the special anniversary later in the evening at the Northamptonshire Manufacturers’ Dinner, held in Delapre Abbey’s beautiful dining room.